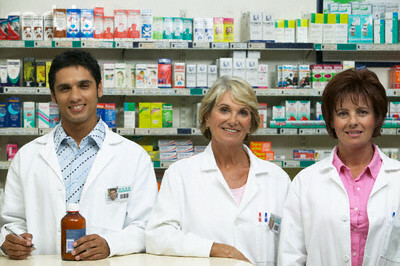 The Pharmacy Technician works under the supervision of the Pharmacist performing traditional pharmacist functions, specifically in drug distribution, inventory management, pharmacy administration and serving patients. The US department of Labor projects more than 28,000 Pharmacy Technician jobs over the next 10 years which is a good incentive for interested persons to become trained in this field. In addition, this can be done without having to spend years acquiring a College Degree. The recommendation for admission to this field is a High School Diploma and Certification by the Pharmacy Technician Certification Board (PTCB). We are offering a Course that will prepare you for the National Pharmacy Technician Certification Examination. Dispensing the correct drug to the correct patient at the correct time. Minnay Educational Services is proud to have very high success rate for candidates that take PCB, currently 96% of our participates pass the Boards per first seat. We encourage our students to make use of the Pharmacology DVDs Set (not included) and also all resources put together online to ensure their success.